I have a confession to make . . . I lose weight, then gain it back. Lose it again and gain it back again. I have a belt to prove it. 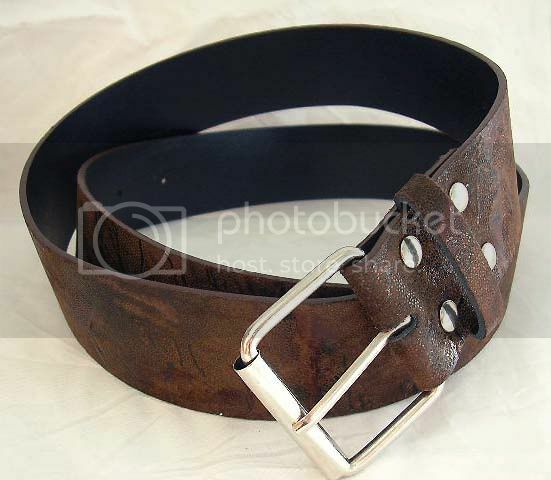 The belt has not one, but three notches that are well worn. Sometimes I come very close to throwing the belt away, but hold on to it because it's one of my favorites. When I am at my last notch I realize how close I am to losing the belt for good. When I am smaller and three notches into the belt, I smile as I remember I am not where I used to be . . . larger. If I had a spiritual belt, I wonder what it would look like? It think it would look the same as the belt I wear. Sometimes I am lazy, sluggish, and distracted. It is at these times I began to realize that I am getting near to losing something very special -- a close relationship with my Heavenly Father. When I am lean, focused and dedicated, I look at the last notch and realize I'm not where I used to be. As I go into a new year I once again spend time reflecting on the past 12 months. In the physical I ask: How did I do with my weight? my eating habits? my sleep habits? my job performance? Then I move on towards the spiritual and I ask: How did I do spending time praying? reading my Bible? memorizing scripture? studying God's Word? reaching out to others? I could go on and on with both the physical and spiritual "check up." What have I decided? This year I am pulling my belt tighter; physically -- "Only one piece of pie please. Yes, the small one will do", and spiritually -- spending quiet moments reflecting, praying, and thanking God for His love and most of all His gift to us, His Son Jesus. What would your spiritual belt look like? Love the analogy, Beth! May I add another hole to my belt? Sigh. Glad to be back Cathy!